In the heart of Paraparaumu Beach, the ideal location for an escape from busy lives. The beach is so close you can smell the fresh sea air and hear the waves. Stroll down to local cafes for that lazy brunch before hitting the golf course or enjoying the beach. The Bach is set back from the road ensuring absolute privacy and is amongst mature trees providing shade for those long hot summer days. You will enjoy the compact nature of property and the flow out to a large deck for relaxing with family and friends. - We take pride in providing a clean place. If you elect to self clean, you will need to bring your own cleaning products. Vacumn cleaner, mop and cleaning cloths are provided. - Rubbish is to be taken away by guests (if practical). Extras: Cleaning (Optional, NZ$50.00 per stay); Linen (Optional, NZ$30.00 per stay); To be arranged direct with owner - Please indicate preference when booking. Top location, easy access to beach and shops. 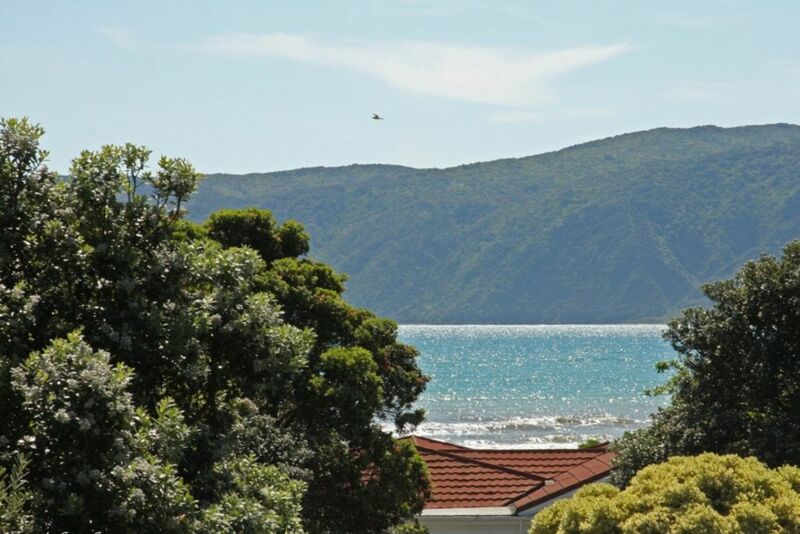 House well appointed, nice big comfortable lounge and kitchen with a clear view of Kapiti Island and the sea. Outside presentation a bit scruffy. Why have the cracked windows not been replaced? Not a good look. Overall would recommend it and would use again. It was well appointed and very comfortable. A great little ‘bolt hole’ for a weekend away. Well appointed kitchen and very comfortable. It was very convenient for our weekend stay. It was comfortable and had everything we needed to make our time there relaxing.